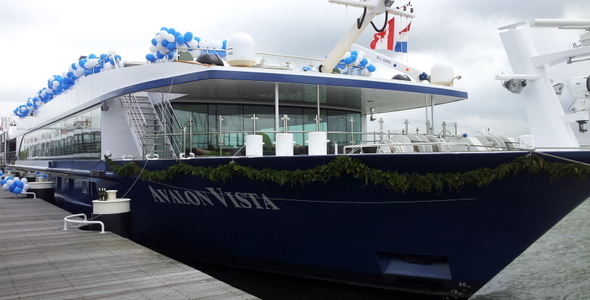 Avalon Waterways have christened two of the latest luxury vessels to join their Suite Class, Vista and Visionary, in a spectacular joint ceremony in Enkhuizen, Holland. 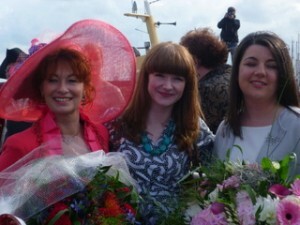 The sun was shining down as both of the elegant river ships were welcomed into the Avalon Waterways family by their glamorous godmothers; Nicole Mazza of the American Marketing Group for Visionary and Vanessa Lee of Cruise Strategies Ltd for Vista. Nicole Mazza has been at the heart of the American Marketing Group for 14 years and her determined focus on developing publishing within the business has seen titles such as The Affluent Traveller and JOURNEYS Magazine being honoured as award-winning publications. Similarly, Vanessa Lee is considered to be one of Canada’s leading figures within cruising. She celebrates her 35th year in the travel industry in 2012 and has been voted one of Canada’s Top 20 “Industry Rock Stars” in a poll of her peers. Whilst both godmothers approached the privilege of the occasion with dignity and grace, it was left to the gods of fate to decide which of these beautiful vessels would be christened foremost. Thanks to the flip of a coin, Visionary was the first to be doused in bubbles, closely followed by Vista. At 361 ft, Visionary was slightly smaller in length than its 443 ft sibling, but equally as impressive. The public areas were warm and inviting whilst accommodation on both ships was spacious and finished to the highest standard, offering passengers 200 square ft in the Panorama Suites and 300 square ft in the Royal Suites, as well as other remarkable features, such as an Open-air Balcony, marble bathroom and deluxe interiors throughout. Visionary can carry 128 passengers and is already boasting a 95% capacity for 2012 whereas big sister, Vista, can carry 166 passengers and is operating at 97% capacity this year. After admiring the quality of the staterooms, guests of the christening were invited to sample some of the fine dining available in a special gala dinner onboard Vista, featuring amuse bouche foie gras, Canadian rock lobster on celery and slow roasted veal tenderloin, to name a few dishes. 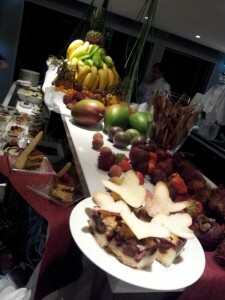 The piece- a- resistance was a surprise dessert banquet in Visionary’s Panaroma Lounge, which was pure decadence and indulgence. Cheese, wine, champagne and chocolate decorated every square inch of the room, giving a flavour of the gastric delights that await upcoming passengers. 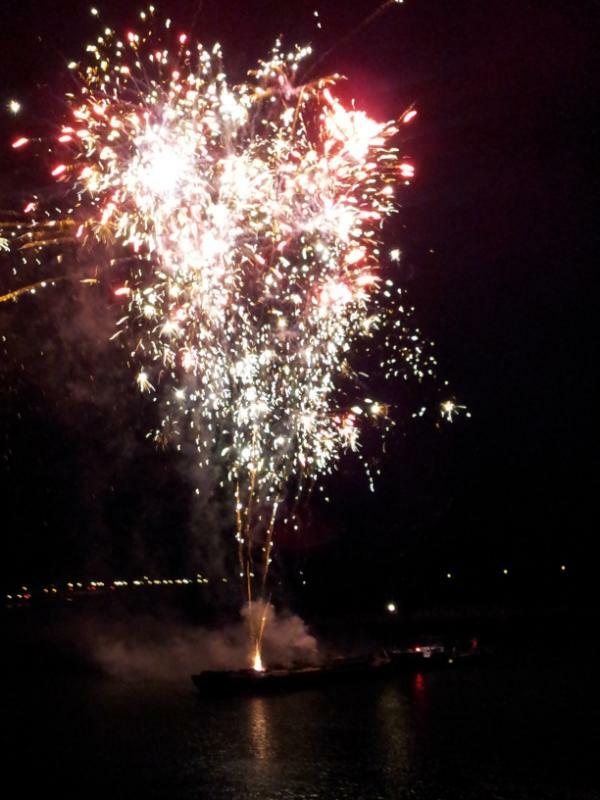 The evening ended perfectly with an explosive fireworks display, illuminating the picturesque Enkhuizen harbour in a blaze of technicolour and celebrating the exciting prospects of Avalon’s newest Suite Ships. 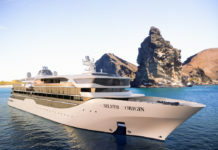 The Vista and Visionary are the second and third ships to join Avalon’s Suite Ship class, with Panormama being the first in 2011. 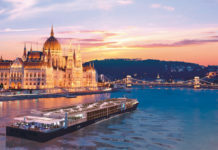 Post-christening, the Visionary will sail the 8-day ‘Romantic Rhine’ itinieray whereas the Vista will sail the 11-day ‘Legedarary Danube’ , 13-day ‘Blue Danube Disocver and 15-day ‘Magnificent Europe’. However, a further two Suite ships are set to launch in May 2013 for those of you who want to strike while the iron’s hot. If their three predeccsors are anything to go by, the Suite Class will continue to be a family of head-turners! Click here to see our full picture gallery of the Avalon Vista and Avalon Visionary. 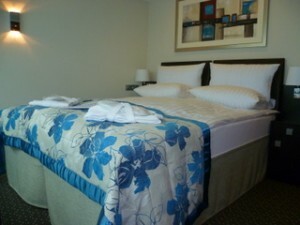 Learn more about Avalon Waterways at www.avalonwaterways.com. Find the latest cruise news in every issue of Cruise International. Click here to subscribe to Cruise International.